Atlantic TT-Series Pumps are asynchronous and combine the efficiency of Magnetic Induction with the power of Direct Drive geometry, keeping operating and ownership costs to a minimum. 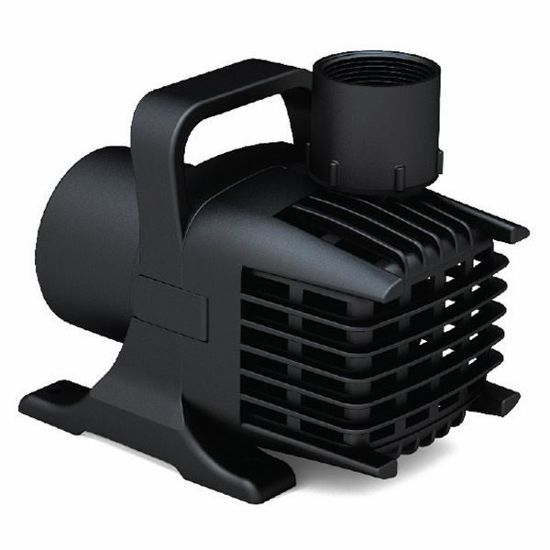 These pump more water for less watts regardless of water chemistry, making them the ideal choice for water gardens. The compact design fits the tightest pump chambers, perfect for vertical and multiple pump applications Excellent resistance to fouling in hard water environments and simple maintenance keeps pumps running in adverse conditions. The ribs and large openings in pre-filter and handle provide tremendous surface area for greater clog resistance, decreasing upkeep and increasing pump life. 8" x 5.25" x 6.25"
9.25" x 6" x 7"